Welcome back to another beautiful Makeup Monday! 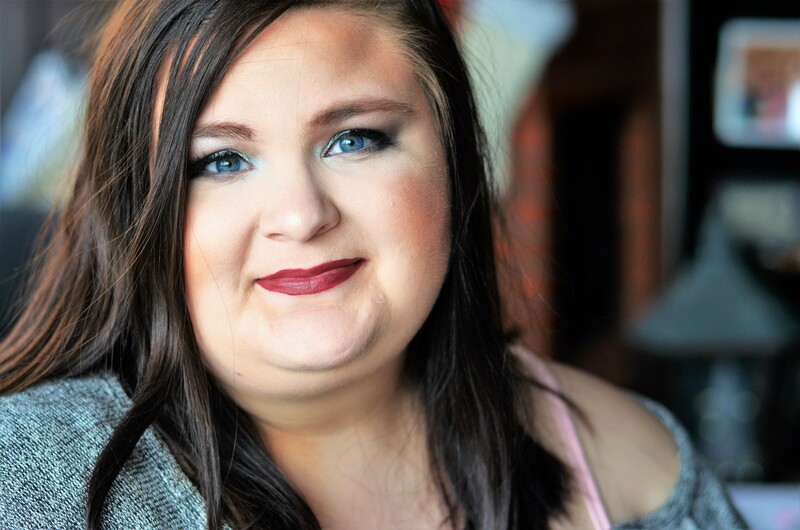 Today I wanted to give a little review on the much talked about Maybelline Fit Me line. I ran out of my go-to Arbonne foundation and picked up some Maybelline because I was desperate. Recently, I’ve heard some great reviews on the Fit Me line so I decided to join the bandwagon and pick some up. I’ll be reviewing the foundation and concealer. The problem of buying drugstore products is not being able to match it to your own skin. I took a shot in the dark and grabbed what I thought would be the best match. 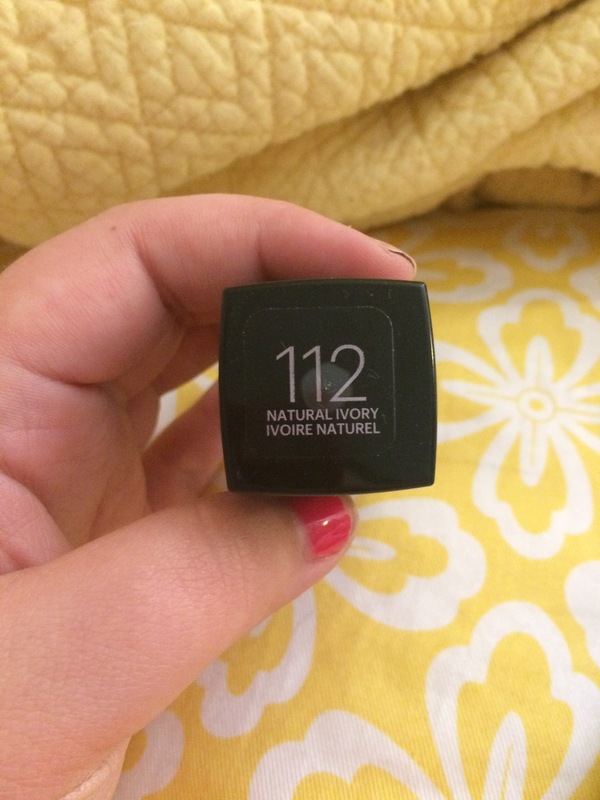 I picked up the Matte & Poreless in 112 Natural Ivory. I was pleasantly surprised by how well this drugstore line is! Both were around $6.99 depending on what store you purchased from. For my oily skin, this kept the greasy feel to a minimum and had good coverage. 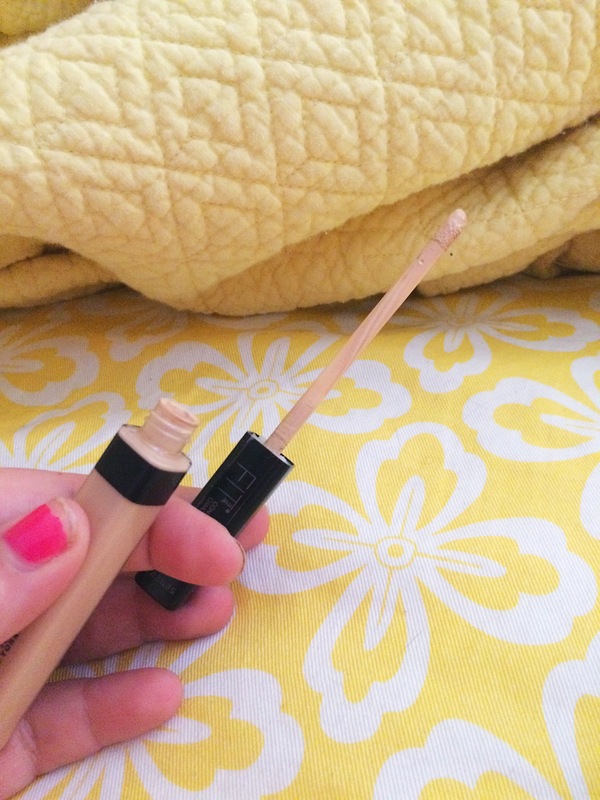 Concealer is always easier to color match because I want a fairly light shade to brighten. I purchased 15 Fair. 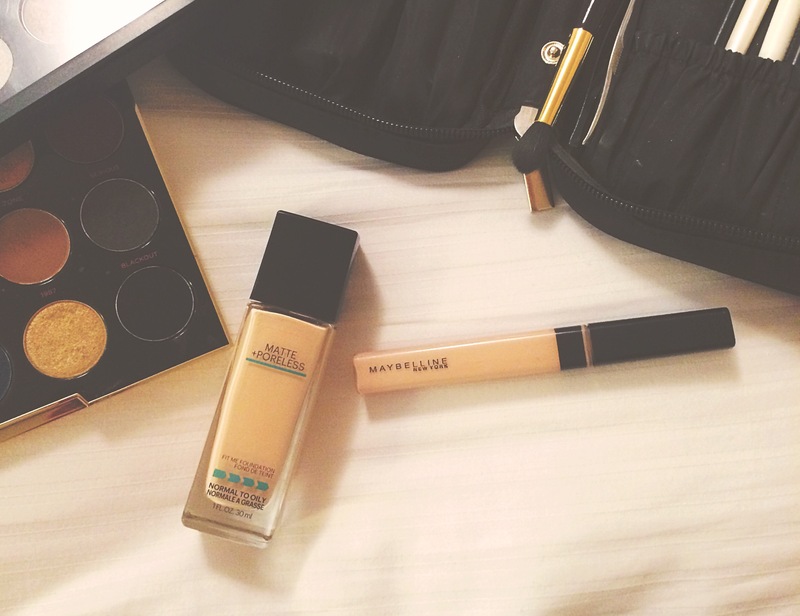 The concealer is as good, if not better, than the foundation. The wand is soft and feels good on the skin. 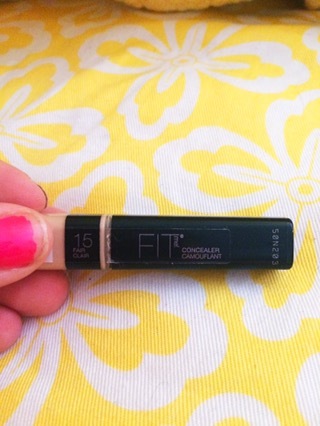 The coverage is phenomial and probably the best drugstore concealer I’ve ever used. To sum it up, I recommend using this line if you are searching for a good quality, affordable product. This is my new no-to drugstore favorites now! Have you used these products? Let me know what you think of them! Yes! I have fairly oily skin and it does pretty well. I wish it was a little more matte but overall it’s great! I’ve seen a couple bloggers review these products. 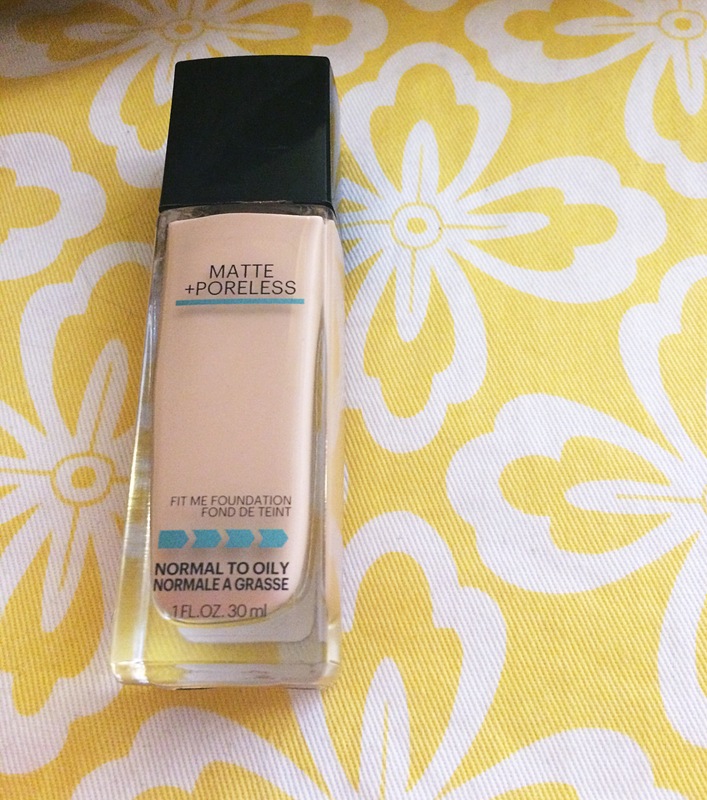 I’m pretty set in my foundation, but I’ve been looking for a good concealer. I’ll definitely give this a try it. Thank you for your review! What foundation do you use?? I’ve been using bareMinerals Complexion Recuse for probably a year or two. I have sensitive skin, and it works like a dream. Awesome! I might have to try that. I use the Fit Me! Dewy and Smooth version (never tried the Matte) and it’s my favorite foundation right now (I’ve used Nars, Honest Beauty, Neutrogena, etc. in the past). I highly recommend! Also I noticed the Matte shades don’t match up with the Dewy, so don’t buy the same shade you bought with the Matte because it won’t match your skin. I apply with a wet BeautyBlender 🙂 I’ll have to try the concealer now! Oh also I have combination skin so don’t let “Dewy” scare you off! Awesome! I’ll try out the dewy as well!! Thanks for reading! I know this post is from awhile ago but I like the FitMe line also! They’ve added more shades of foundation and concealer! Yay!